Does Paris Pet Crematory do single pet cremations, with only my pet in the cremation chamber? This is the best question a devoted pet owner could ask. Our definition of "private" means only your pet will be in the cremation chamber. Many people misuse the word "private" in offering cremations. The word "private" implies "one" or "just your pet". Some pet crematories define "private" as getting your pet's cremains back, regardless of how many pets are in the cremation chamber. Please refer to our Education page for more information. Pet owners are being fraudulently misled on their best friends cremation and we are relying on YOU to determine what companies are providing misrepresented services. Can I bring my pet directly to Paris Pet Crematory? 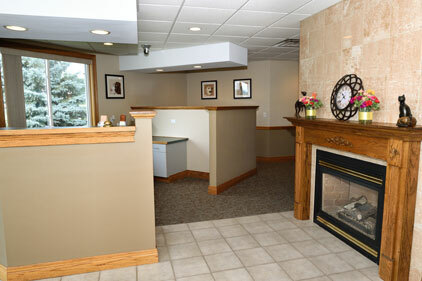 All pet owners are welcome to bring their pet to Paris Pet Crematory for cremation with an appointment. Call to arrange a time you wish to transport your pet to Paris Pet Crematory (call for weekend availability for intakes, 262-878-9194). Cremation takes place within 24 hours of intake for weekend intakes and will be ready for pick up on the next business day. Your pet's cremains are placed in the standard urn or an urn of your choosing. See our Services page for information on the Same Day Cremation Service and our Attended Cremation Service. How long until I receive my pets ashes back? We will cremate your pet the same or following day of the intake and then call you to arrange the pick-up of your pet's cremains. We do offer Same Day Cremation, whereas your pet would be cremated shortly after the intake, please call 262-878-9194 for an appointment. Pet owners that use a hospital Paris Pet Crematory services will recieve their pet's cremains within 4 days of intake. We visit your hospital on Monday and Thursday and hand deliver cremains. Holidays may cause a slight delay. The fee for the Private Cremation Service (only your pet in the cremation chamber) starts at $183 and is based on the weight of your pet. This service requires you transporting your pet to Paris Pet Crematory with an appointment and returning later (by appointment) to bring your pet's cremains home. 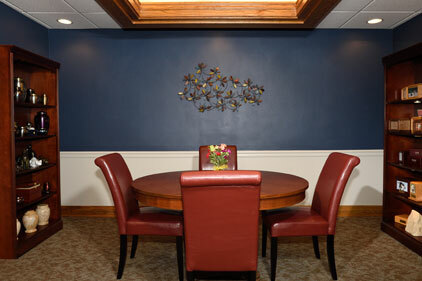 Same Day Cremation Service and Attended Cremation Services are available, contact us at 262-878-9194 for more information. What is the cost if I cremate two or more of my pets together and have them placed in one urn? The cost is based on the total weight of all of your pets being cremated together without any form of separation and placed in one standard container. The minimum fee for up to 35 pounds is $183. How do I know that my pet’s remains are treated respectfully and that I am really getting only my pet’s ashes back? Many people have this concern, we want to assure you that every pet brought to our facility is treated with dignity. With the Private Cremation Service, your pet is the only pet in the cremation chamber during cremation, the cremains are placed inside of a poly bag and then in a velvet bag which is then placed in a standard urn (or the urn of your choosing). Your pet has identification that stays with them throughout the entire process until your pet’s name is placed on your pet’s urn. You have the option to receive your pet's Private Cremation Service on a media drive for assured accuracy. Ask for the Video Verification option during intake. Is there a weight limitation for cremating my pet? We can cremate pets up to 300lbs. We have cremated mini horses, lions, goats, llamas, alpacas and pigs. Can my pet still be cremated post-burial? Yes, we have done this many times. However, depending on how your pet was buried (and pet size) the cremains may be contaminated with earth and may require several containers to contain your pet’s cremains. Pet cemeteries in Wisconsin do not have protection under the law and can be removed for other projects (search: Thistlerose Pet Cemetery in Greendale, Wisconsin). Choose a reputable cremation service so you can secure your pet's final disposition.